Habitat for Humanity Halton-Mississauga has always looked to provide the very best for its ReStore customers. Now, thanks to an incredible partnership with Whirlpool Canada, The Burlington ReStore will be providing something it has never had before, brand new appliances. 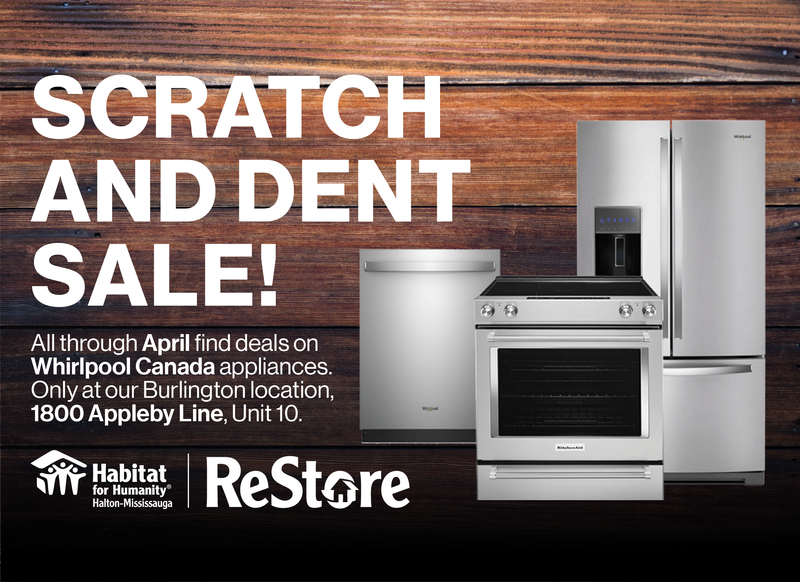 The ReStore, located at 1800 Appleby Line, will be selling brand new scratch and dent appliances from the Whirlpool Canada appliance lines. A trailer full of ranges, ovens, and refrigerators pulled into Habitat on March 29, and as of today are on sale! This approach, selling never-before-used items on consignment from a partner, is a bold new approach Habitat HM is taking to make sure the ReStore can help people in the community find the best possible deals on appliances, while raising more money to build more desperately needed affordable housing in the GTA. Every single purchase on this special promotion will generate revenue for more construction projects in our community. The appliances featured at the Habitat for Humanity Halton-Mississauga ReStore will be from the Whirlpool, Kitchen-Aid, Maytag and Amana lines. The sale, active from April 1-30, will have some items marked down up to 60% off their MSRP listing. Don’t wait! Head to the Burlington ReStore today to save big on Whirlpool branded appliances!